Always curl your lashes before applying mascara to elongate them and open up your eyes. This eye lash curler lifts and separates the lashes for a 'push-up' effect, making your eyes seem more awake. Open the curlers, clamp and hold on your top lashes for 5 seconds. Repeat on both eyes. My Shu Uemura curlers were on the outs after loving on them for a few years. I admittedly was pulled in by the beautiful rose gold and design of Charlotte's curlers. I wish I could say I loved them. They are almost too curved for my eye and not long enough. I end up bending the outer corner or inner corner at an odd angle or can't get all of my lashes in. I am the type of girl that really wants to get to the root and I can't do that with this. I think these will be relegated to an back up. Not horrible, but not great either. I enjoy my Kevyn aucoin one better. I have bigger eyes and the KA works best for my eyes. The shu umuera works better than this one as well. Not worth the price tag. It's cute for being rose gold but that's all. 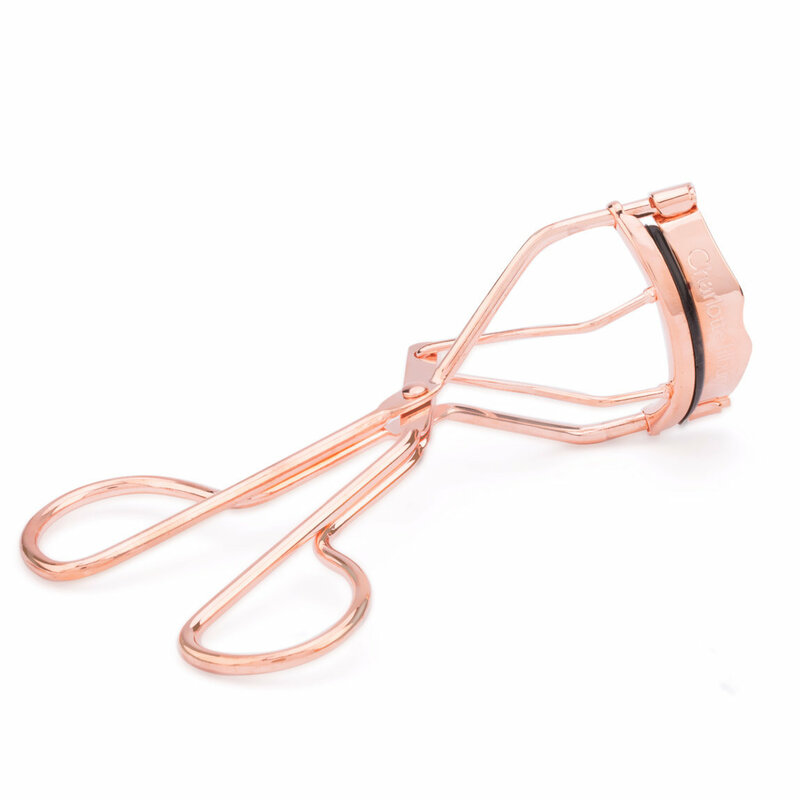 This is a comfortable eyelash curler. I have no problems. Curls my lashes. I tried other eyelash curlers that were less expensive, and they didn't fit. Shumera is too small for my eye socket. Walmarts eyelash curler was extremely small and too curved. I was very excited to try these new curlers but I was disappointed, my shu uemera and tweezerman curlers are much better than these curlers. They could not reach the roots of my lashes properly because of the design shape, which prevented them from giving a true curl. Having very straight lashes myself I need something that will really get to the roots and lift my lashes and these just didn't cut it. On a good note, Charlotte's other products are fab! Wonderful eyelash curlers. Very classy too. They arrived in 3 days, reasonable priced, they don’t pinch. My Favorite ever. I’ve been using the Kevin Aucoin curler for years and years, and it never failed me. I loved the rose gold design of this curler though, and I love almost all of the CT products that I have tried, so I decided to give this one a go. Unfortunately it’s too rigid, long and straight for me. It doesn’t allow me to get down to the roots to do a nice curl, instead I have to do it in a few different places and even then, it’s wonky and not natural-looking. I love beautylish and CT but this didn’t cut it for me. Will try to find it a new home.